Outsourcing Electrical Work? Exercise Due Diligence. When you consider that a facility’s electrical infrastructure typically consists of: service entrance switchgear and switchboards, distribution panelboards, power panels, motor control centers, various sized circuit breakers, distribution transformers, fused disconnect switches, PDUs, UPS units, battery banks, standby generators, paralleling switchgear and switchboards, automatic transfer switches, and assorted power cables, it’s easy to understand why electrical work is often outsourced. Given the increased complexity and interconnectivity of systems, hiring contractors to perform specialized tasks may prove to be more cost effective than having that experienced level of technician(s) on the payroll. Ask specific questions relative to Field Personnel Competency Training to determine product knowledge. 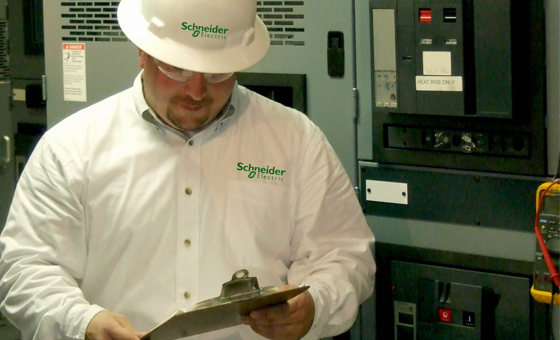 Inquire about their experience level with specific electrical equipment or power systems to be maintained. Find out about their safety training program. Is their personnel protective equipment meet the requirements of ASTM and NFPA 70E? Review their operational safety record (worker’s comp modifier and Lost Workday Incident Rate). A licensed professional electrical engineer experienced in power distribution equipment can assist facility management in the qualification and selection process. To help ensure electrical workplace safety and the integrity of the work to be performed, facility engineers should provide copies of the operations and maintenance manuals that accompanied the original electrical equipment to the contracted service providers. If these are not on hand, an online search by the manufacturer’s name and electrical equipment identification may yield the desired results. In addition, exact, detailed, and up-to-date one-line diagrams of the entire electrical power distribution system should be made available. Finally, hiring third-party contractors does not absolve the owners or managers of the commissioning company from complying with electrical safe work practices. Facility management is ultimately responsible for all onsite safety requirements and must document and communicate known hazards per NFPA 70E to all onsite electrical workers. For more resources on reducing personnel and facility risks, click here. Great article! I agree with your point safety is the first priority while dealing with electricity. I found your article to be the best for the beginners you are looking forward to getting in to the career and deal with electricity on daily basis.